In its final mission, the United Launch Alliance Delta II launch vehicle lifted NASA’s ICESat-2 (Ice, Cloud, and land Elevation Satellite 2) up into orbit. 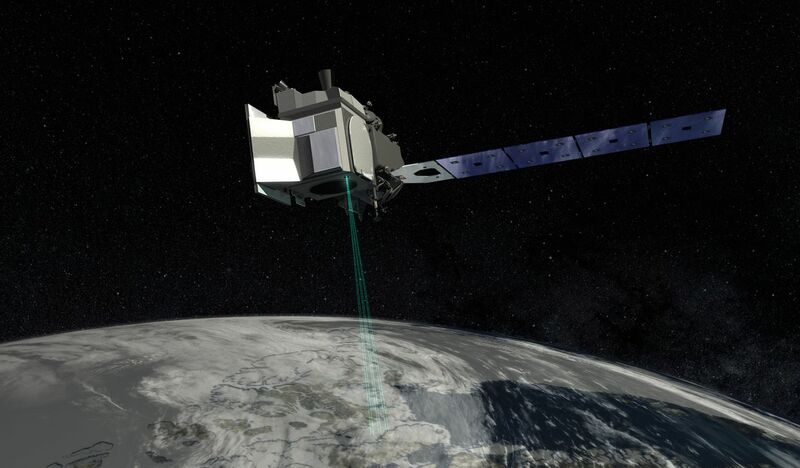 Designed to measure ice sheet elevation and sea ice freeboard, as well as land topography and vegetation characteristics, the mission is a follow-on to the ICESat mission of 2003 to 2010. The launch vehicle lifted-off from Space Launch Complex 2 at Vandenberg Air Force Base in California at 06:02 local time (9:02 EDT; 14:02 BST). The satellite separated from the second stage about 53 minutes after lift-off, followed by four cubesat secondary payloads some 20 minutes later. The half-tonne satellite, about the size of a small car, carries a single instrument: a laser altimeter called the Advanced Topographic Laser Altimeter System (ATLAS). 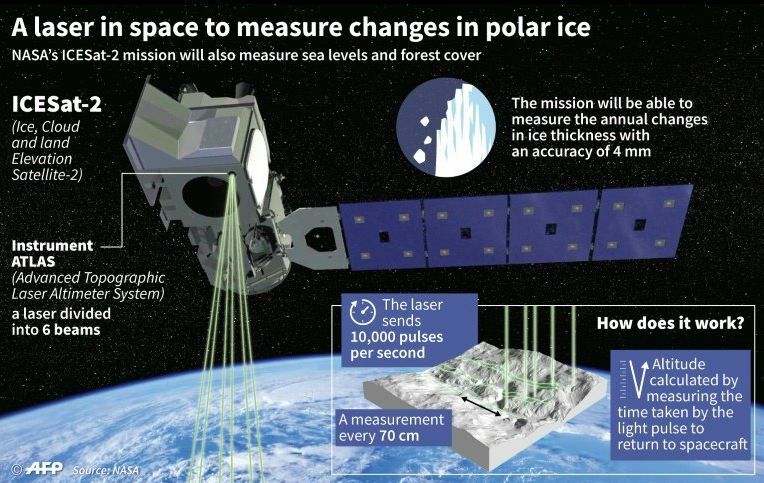 It is designed to fire 10,000 laser pulses a second to obtain elevation data with an accuracy of half a centimetre, and will primarily be used to measure the elevation of ice sheets and changes in their size, but will also measure the height of vegetation on land. Originally, ICESat-2 had been due to launch in 2015 as a follow-up to the original mission. However, the complexity of ATLAS meant that the mission hit delays and overran its original budget, both of which left NASA facing an either / or situation: either divert funds from other Earth resources missions (such as the Pre-Aerosol, Clouds, and Ocean Ecosystem (PACE) satellite) and cancel them, or cancel ICESat-2. The first ICESat revealed that sea ice was thinning, and ice cover was disappearing from coastal areas in Greenland and Antarctica. Due to the delays in developing and launching ICESat-2, NASA has relied on an aircraft mission, Operation IceBridge, to monitor ice elevation and gathering other data on ice changes in both the Arctic and Antarctic. While there are those who like to believe human-made global warming doesn’t exist, and that the unprecedented increases in temperature Earth has experienced in the last 100 or so years is simply a matter of solar cycles (a view that actually does not stand up to objective scrutiny), global average temperatures are climbing year after year (four of the hottest years in modern times all taking place from 2014-2017), largely as a result of humanity’s constant reliance on fossil fuels for energy. This warming is contributing to the shrinking ice cover in the Arctic and Greenland and adding to sea level rises that threaten hundreds of millions of people living in coastal regions around the world, as well as contributing to further weather and climate changes. ICESat-2 should help scientists understand just how much melting the ice sheets are contributing to this sea level rise, with ATLAS being fired-up for the first time in orbit in around a week’s time. 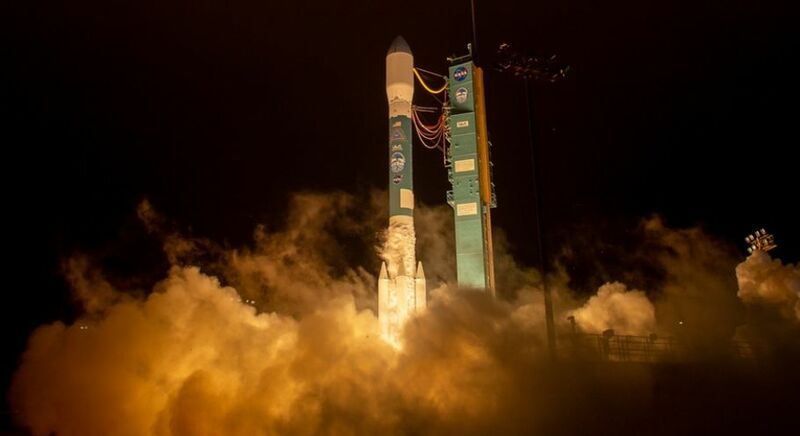 The launch was the 155th and final flight of the Delta II, which first entered service in 1989. Once a mainstay of both government and commercial customers, the vehicle has seen decreasing use in favour of vehicles like the Delta IV and Atlas launchers and, more recently, SpaceX. In 2007, it was announced ULA would phase out the Delta II – although it has enough parts to build around half-a-dozen complete versions of the rocket. With NASA the only user for the vehicle, it has taken time to use these remaining vehicles, and the final vehicle will be used as a museum piece. The Delta II occupies a unique place in history: it is the only rocket ever to recorded to have debris strike a human. In 1996, the US Ballistic Missile Defense Organisation (BMDO) launched the Midcourse Space Experiment (MSX) atop a Delta II. Ten months later, on January 22nd, 1997, the upper stage of the launcher re-entered the atmosphere and broke apart, the greater part of it burning up in a fireball over the mid-west United States. 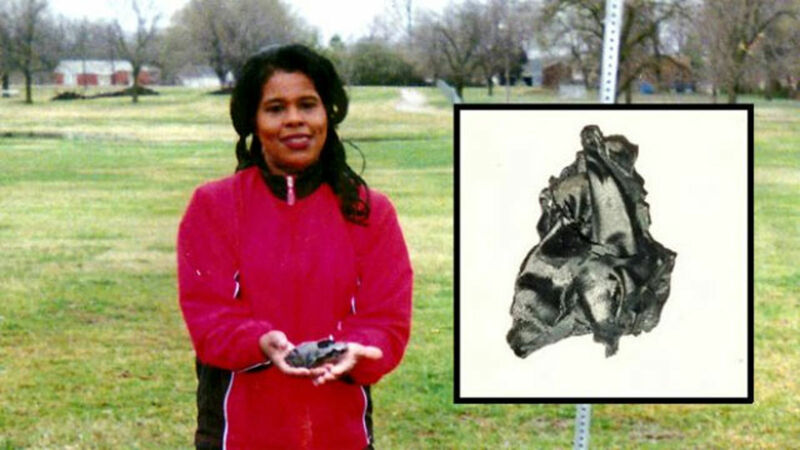 Witnessing the fireball while exercising in a park in Tulsa, Oklahoma, was Lottie Williams. Thirty minutes later, she was struck on the shoulder by a charred piece of metal about 15 cm (6 in) across and weighing about the same as an empty soda can. She was uninjured by the strike, and analysis of the object confirmed it originated from the Delta’s upper stage. At the start of September 2018, I wrote about a pressure leak aboard the Soyuz MS-09 vehicle docked at the International Space Station. While not life threatening and dealt with safely, the hole causing the leak was originally thought to be the result of a MMOD – a MicroMeteoroid (tiny piece of orbiting rock weighing less than a gramme but travelling at high-speed) or a piece of Orbital Debris (a tiny fragment from a space mission). However, following the event, rumours started circulating that the hole might have been deliberately cut. 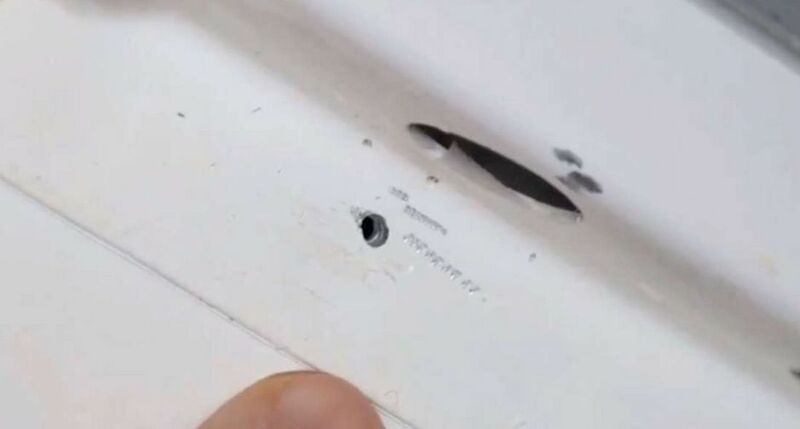 The initial claim that the damage being deliberate actually came from Dmitry Rogozin, the director of the Russian space agency Roscosmos, who suggested the hole could have been cut on Earth or “in space”. This immediately led to finger-pointing in the Russian media, where it was openly suggested – including by former cosmonaut Maxim Surayev – that the hole had been cut by the US astronauts on the station to cause an early return to Earth for one of them who might be “ill”. While such claims were quickly pushed back by Roscosmos, the comments nevertheless drew the ire of mission commander Andrew “Drew” Feustel, who made what was – by NASA standards – a forthright statement while speaking to ABC News in the US from the space station. I can unequivocally say that the crew had nothing to do with this on orbit, without a doubt, and I think it’s actually a shame and somewhat embarrassing that anybody is wasting any time talking about something that the crew was involved in. The only thing the crew did was react appropriately, follow our emergency procedures, eventually locate that leak and plugged the hole. In doing so, we assured the continued operation of the space station, we ensured the ability of our crew all to remain on orbit and continue doing the great work that we do … on the International Space Station. That a member of the crew would resort to such an action tends to stretch the bounds of credulity. 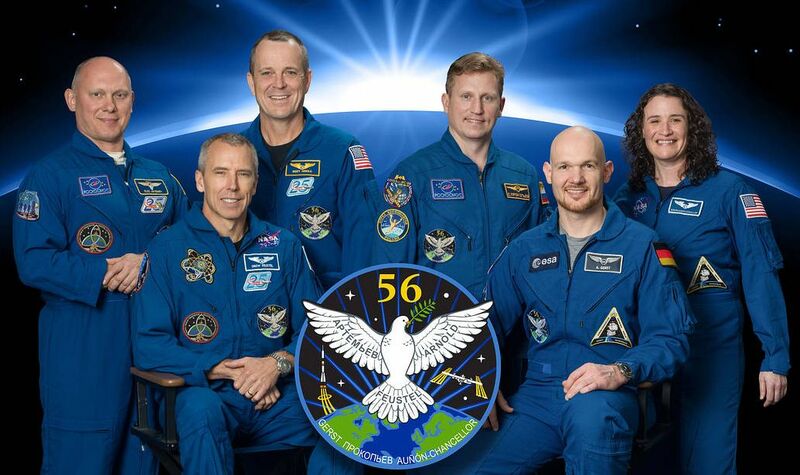 Of the six crew aboard the ISS one but on – cosmonaut Sergey Prokopyev – are veterans of space missions, having previously flown aboard the ISS and / or the US space shuttle. 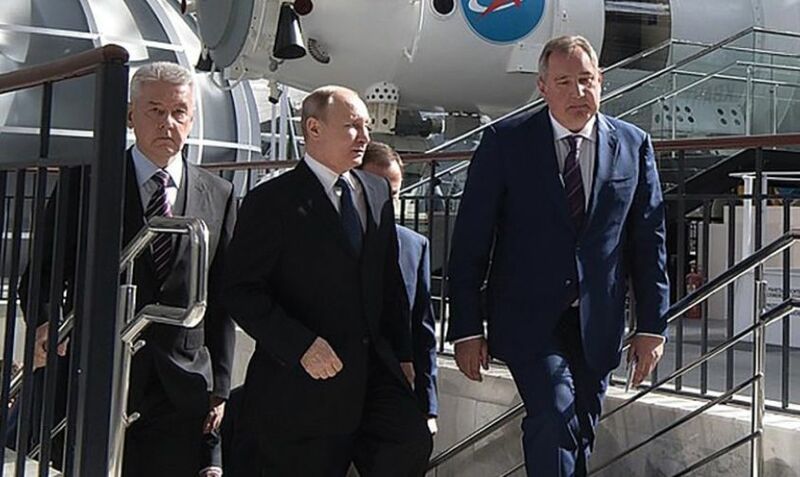 However, the rumour mill continued to churn, with some outlets pointing to Rogozin’s close ties to Russian Premier Vladimir Putin, and the fact he is under US, EU and Canadian sanctions for his role in the annexation of Crimea (he served as a Deputy Prime Minister with defence rsponsibilities prior to being appointed to lead Roscosmos in May 2018). This in turn prompted NASA and Roscosmos to issue a joint statement on the matter on September 13th, again pushing back on the rumours. The Administrator and the General Director noted speculations circulating in the media regarding the possible cause of the incident and agreed on deferring any preliminary conclusions and providing any explanations until the final investigation has been completed. They acknowledged the entire crew is dedicated to the safe operation of the station and all docked spacecraft to ensure mission success. … They acknowledged the entire crew is dedicated to the safe operation of the station and all docked spacecraft to ensure mission success. A more likely explanation for the damage is that it was accidentally caused on Earth. Two theories have been put forward on how it might have happened. In the first, the damage occurred during the vehicle’s fabrication, and the person responsible opted to make a repair rather than report it. The second, and potentially more likely theory, is that the spacecraft was damaged during testing at Baikonur after passing initial checks, and the mistake then hastily covered up. In either case, it is believed a substance unfit for the purpose of a hull repair was used, and it gradually degraded in space prior to failing completely, causing the pressure loss inside the Soyuz. NASA Administrator James Bridenstine and Rogozin plan to discuss the matter further face-to-face, when Bridenstine visits the Baikonur cosmodrome ahead of the next Soyuz launch to the ISS, due to take place in October. In the meantime, Energiya NPO, the company responsible for building the Soyuz and Progress, its uncrewed cargo-carrying twin, will carry out additional checks for possible defects on all their vehicles both at its production site outside Moscow and at Baikonur. In my previous Space Sunday article, I wrote about space elevators and an upcoming orbital test. However, the launch of the HTV-7 vehicle – a resupply mission to the ISS, which also carries other experiments as well supplies for the ISS – carrying the experiment was twice postponed between September 10th and 11th due to winds from a local typhoon potentially interfering with the launch vehicle’s flight. 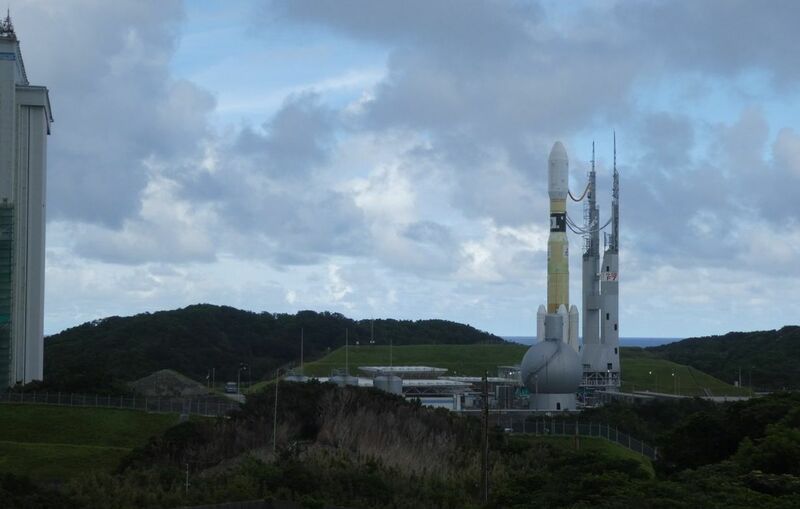 A third attempt was due on September 14th, but was unexpectedly scrubbed just an hour prior to lift-off. A further rescheduling had been set for Saturday, September 15th, only for that attempt to be cancelled. A further attempt was to be made on Sunday, September 16th. At the time of writing, there was no news on this attempt. SpaceX has announced they will be resuming their attempt to send people around the Moon. First stated in February 2017 for a late 2018 launch date using the Falcon Heavy and Crewed Dragon capsule, the idea was to send two paying tourists around the Moon. However, it was later postponed. Now it appears the company is about to re-launch the idea, but potentially using their massive Big Falcon Rocket. On September 14th, 2018, SpaceX tweeted they had signed the first private passenger to fly around the Moon – and would be giving more information on Monday, 17th 2018. There were two intriguing parts of the announcement: the use of the word “first” – which might either indicate just one private passenger would be joining the trip, or could indicate that others might be offered the chance to make the flight; and the image used to illustrate it. This showed a rendering of the upper stage of the Big Falcon Rocket (BFR) currently in development, and which is referred to as “the ship”. People were quick to notice the design looked a lot different to previous rendering of the ship, with very pronounced fins. When asked if this represented a new look for the craft, SpaceX CEO Elon Musk replied with a simple “Yes”. 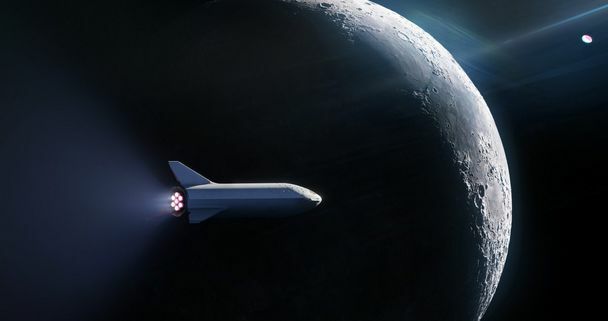 If the company is planning to use the BFR – which is designed to carry up to 100 people when operational – then offering more than one seat to fare-paying passengers for a flight around the Moon would seem to make sense. it’ll therefore be interesting as to what is said in the September 17th briefing, including any time frame SpaceX is considering for the mission. One year ago, on September 15th, 2017, the Cassini mission to Saturn came to an end as the spacecraft plunged into the planet’s upper atmosphere, ending a magnificent 20-year voyage of discovery. 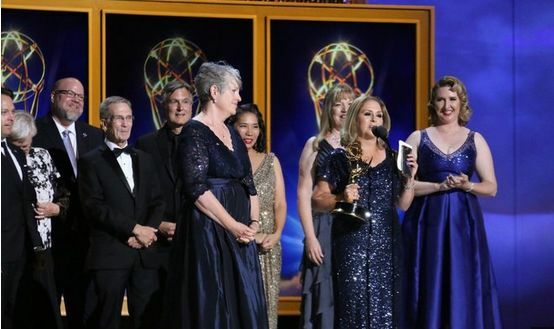 You can read more about the mission here, and on September 8th, 2018, the mission was further honoured, winning an Emmy for Outstanding Original Interactive Programme at the 2018 Creative Arts Emmy Awards. The award was given for coverage of the probe’s final orbit and dive into Saturn’s atmosphere through video, social media, the web and television. In winning the award, the Cassini campaign faced off against Back To The Moon, an animated virtual reality short from Google, and interactive virtual experiences to promote the movies Blade Runner 2049, Coco and Spider-Man Homecoming, all released in 2017. This is the third Emmy the US space agency has been awarded and is the first received by the Jet Propulsion Laboratory. Congratulations to all involved.